In a small American town, Pakistan’s top military generals are making headlines for receiving International Hall of Fame Awards at Fort Leavenworth, Kansas City. Four former Pakistani four-star generals left behind all the military generals of its neighbouring countries — India, Russia, Iran, Nepal, Sri Lanka and Afghanistan — in this globally recognised race where 253 graduates of the Command and General Staff College at Fort Leavenworth have been inducted into the International Hall of Fame (IHOF) Awards over the last 41 years. This is the world’s best military award, which was established in 1973 under the Kansas City Chapter of the Military Order of the World Wars and the Command and General Staff College Foundation. United States Army Command and General Staff College is a graduate school for United States Army and international military officers, which was established in 1881. Only those four-star generals who have contributed to international peace and stability can qualify for the prestigious IHOF award. 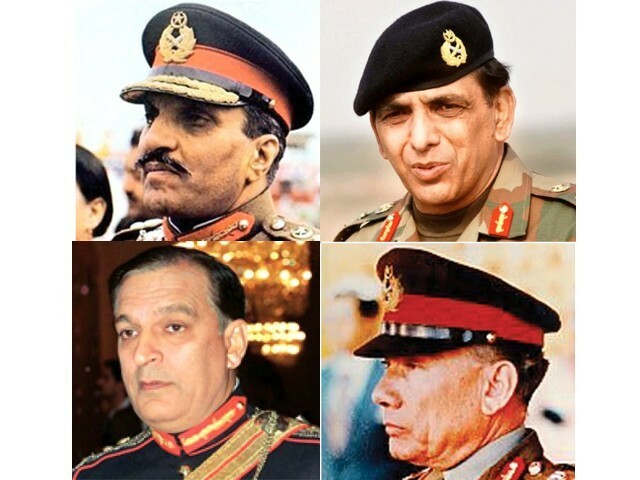 Among these four Pakistani generals one ruled the country for more than 11 years. General Ziaul Haq, who ruled Pakistan from 1977 to 1988, graduated from the Command and General Staff College in 1963. He was the first Pakistani top military general to be inducted into the IHOF in 1982. Others include General Rahimuddin Khan who attended the army college in 1965 and was inducted to IHOF the same year. He served as Chairman of the Joint Chiefs of Staff Committee from 1984 to 1987 in Pakistan. Another well-known name is General Jehangir Karamat who graduated from this college in 1974. He received the IHOF award a year before the then Chief of Army Staff General Pervez Musharraf became chief executive of the country by removing Prime Minister Nawaz Sharif in 1999. General Ashfaq Parvez Kayani was the last Pakistani general who received the IHOF in 2009 – some 21 years after he graduated from this college. He was the longest-serving Chief of Army Staff who served from 2007 to 2013. Meanwhile, the newly retired Indian army chief, General Bikram Singh, is the first and only Indian top soldier who was inducted into the United States Army War College’s International Fellows Hall of Fame last year, where he graduated from in 2004. Military officers of the Philippines are leading this military college with 32 IHOF Awards in four decades. With 15 IHOF Awards, Brazil’s four-star generals secured the second position while 13 IHOF Awards were given to top generals of Guatemala. From the list... only officers of dependent countries can be noticed. Hardly any NATO members there... Don't they have exchange programmes with their better off allies?